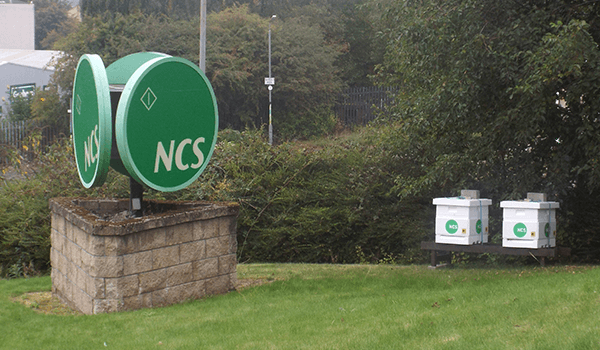 NCS Group Ltd have strengthened its contribution to the environment! 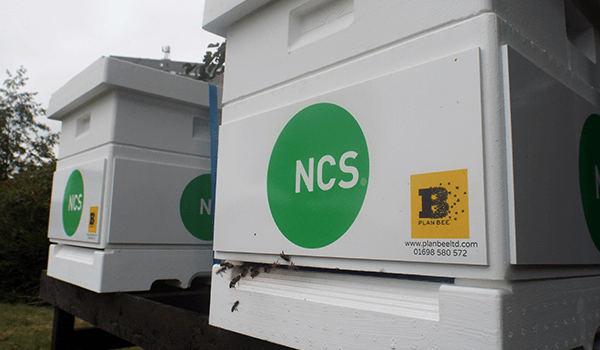 NCS Group Ltd are the latest company to create a buzz by installing their very own bee hives and colonies through the efforts of Plan Bee. Perhaps through their line of work the office solutions company feel an affinity with these organised and efficient creatures or maybe they simply wanted to do their bit for the environment but either way, their Rodney Street offices and garden of Managing Director Tom Nolan’s home, are now a hive of activity. Founded in Glasgow in 1988 the company now have a total of 7 branches spanning across the UK and Northern Ireland. As well as striving for commercial success they are committed to being an active and supportive member of the community and work hard to ensure that their investments have a sustainable benefit; working with Plan Bee was a perfect fit with their environmental ethos. Speaking about the newly introduced hives Tom said “We’re always looking for new ways to improve our sustainability and strengthen our contribution to the environment so having recently read an article about Plan Bee Ltd and the ramifications of what they, the bees do for our environment, I felt NCS could contribute and help them along”. Plan Bee has teamed together with the award winning Stalled Spaces in its attempt to help regenerate Glasgow. 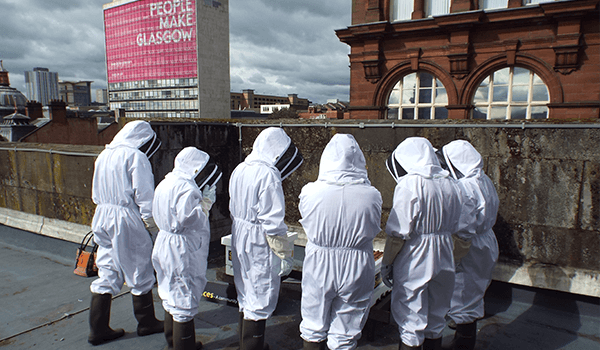 By hosting two bee hives on the roof of Glasgow City Chambers, together we hope to make a positive impact on Glasgow’s biodiversity whilst helping ailing bee populations in Scotland. 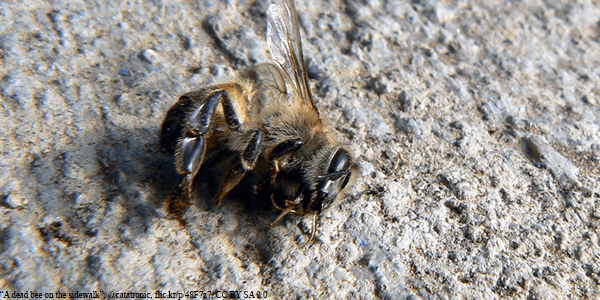 The danger bees are in is widely publicised and despite the vital role they play in our eco-system there is a distinct lack of government initiatives to help combat the problem. That’s why, when Glasgow City Council based initiative Stalled Spaces contacted us, we were thrilled to help. The Stalled Spaces scheme provides funding and ideas for local people to turn unproductive land into a community asset, such as a play areas, green gyms or pop up parks. As well as creating new greenscape in the city, Stalled Spaces also wanted to help the existing environment thrive with the help of some Plan Bee hives. Discussing how the staff have been getting involved with their new team-mates, Frazer MacLeod, Project Lead said “The feedback I’ve had from the GCC beekeeping volunteers has been positive, they have all learned a lot. 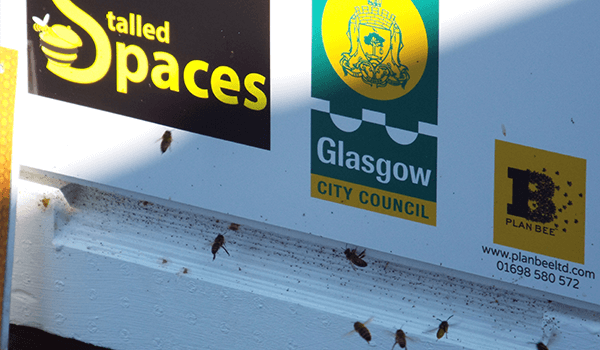 The Stalled Spaces bees will work hard to pollinate Glasgow’s trees, plants and flowers, contributing to the cities biodiversity, carbon intake and general buzz. 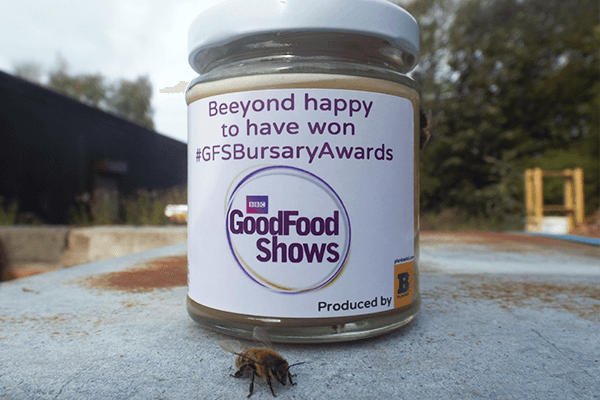 We are ‘beeyond’ happy to announce that we are a winner of the BBC Good Food Show Producer Awards! Selected by the panel of Good Food Show judges, we were described as an “outstanding producer” of Scottish food and drink and have been invited along as an exhibitor to the BBC Good Food Show in Glasgow next month! With winners held as exemplary artisans the bursary looks to award small companies like Plan Bee for their passion and dedication by giving them the opportunity to grow their business by reaching more consumers, trade buyers and industry professionals at one of the BBC Good Food Shows nationwide. We are incredibly excited to be one of the winning exhibitors at the Glasgow event and are looking forward to a fantastic weekend full of tasting, sampling, shopping and networking with acclaimed Scottish food heroes. Plan Bee will also be joined by a host of celebrity chefs including TV stars Mary Berry, Paul Hollywood, James Martin and Scottish superstar chef Tom Kitchin, at the SECC from the 17th till the 19th of October. We would absolutely love to see some of our incredible supporters there and hope that you will be able to make it along to this tasty event. 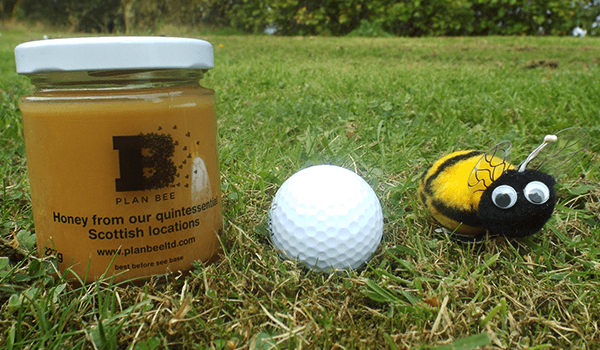 Plan Bee is thrilled to announce that we are an official honey supplier for the Ryder Cup! 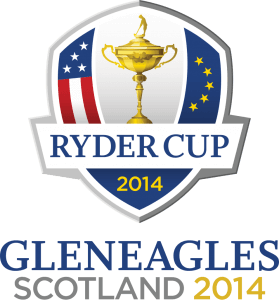 For the first time since 1973, and for the second in the history of the prestigious golfing tournament, Scotland will proudly play host to the Ryder Cup at the magnificent Gleneagles Hotel in Perthshire. The Cup joins the incredible list of Scottish events that have taken place this year and what better way to welcome its guests than with some bespoke Scottish honey! Our blossom and heather honey is a firm favourite with our clients and we are certain that they will satisfy the taste buds of the golfers and spectators alike in the Jamie Oliver’s Fabulous Feasts tent. If you are lucky enough to be attending this exciting event, why not pop by and say hello and have a chat about his ‘driving ambition’ for bee hives on golf courses or learn about how a bee hive could benefit your local golf course? He truly is an Ironman. Sorry, please don’t let the golfing puns drive a wedge between us! Heralding the rise of two new queens in Windsor! 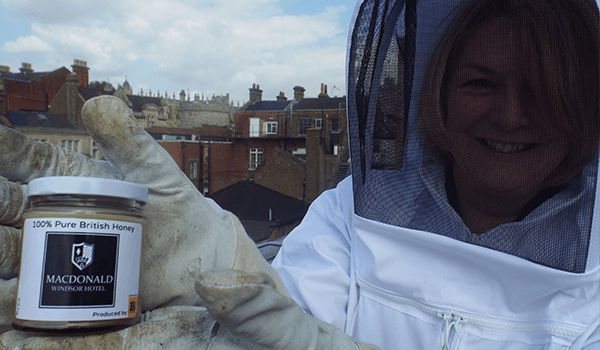 This month we went to the Macdonald Windsor Hotel to deliver two brand new bee hives to the hotels roof in the prestigious buildings attempt to become more environmentally friendly whilst helping decreasing bee populations in the UK. Beverley Molmans the hotel’s General Manager was on hand, bee suit and all, to welcome the bees who include not one but two, brand new Queens. 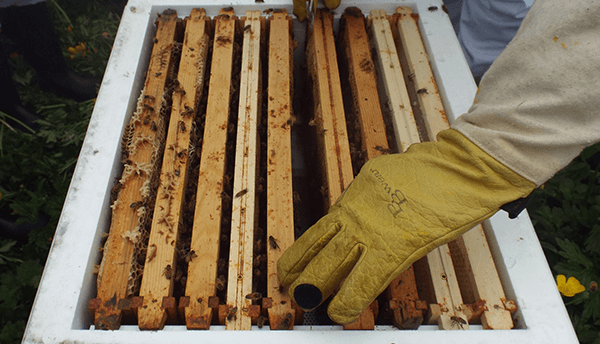 The hotels Room 15 sustainability program aims to have a more sustainable and ethical approach to the hospitality industry by 2015 and their new bee hives are just one of the many methods to be implemented. The hives will be accompanied by bee keeping lessons and ongoing support allowing the hotels staff to become involved with the everyday life of the bees, creating a tangible point of ethical interest on site. The hotel also hopes that the roof top haven will provide an area for staff to unwind from their days work whilst helping the bees along with their own daily tasks. The new Queen Bees, who share the same postcode as Queen Elizabeth will also work hard to produce honey which the hotel will then gift to its VIP guests and clients, showcasing their commitment to their local environment in an unusual yet delicious way. Discussing the process Beverley laughed that the hardest part was “getting into my bee suit today” and that the hotel was extremely excited about its new “BIP” guests and can’t wait to see the new hives thrive. Next time you’re feeling a bit ill, you may want to turn to your local bee hive before reaching for the medicine cabinet. At least that’s the sweet solution put forth by researchers at Sweden’s Lund University, who found that the special bacteria in honeybee stomachs may prove to be a valuable alternative to antibiotics. The group, who based their research on the incredible results of honey being used as a poultice for injured horses, determined that the lactic acids found in honey straight from the bees stomachs, produce powerfully active antimicrobial compounds that can fight some of the most prevalent strains of human bacteria. Don’t go reaching for your average store bought honey just yet, the scientists emphasised that these lactic-acid bacteria aren’t found in store-bought honey because of the processing that goes into making it. 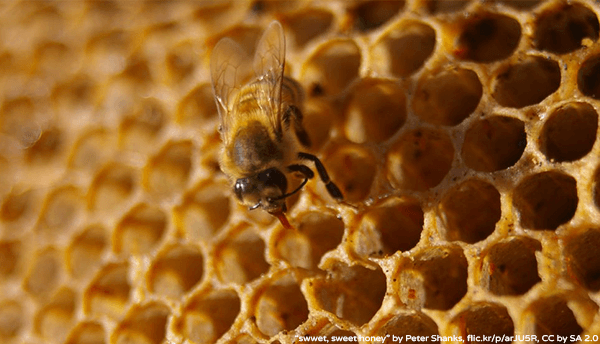 Now, don’t panic just yet but far from trekking into the woods to find a swarm of honey bees, raw honey can be found relatively easily. There are a whole range of artisan producers – Plan Bee included- who produce a range of unpasteurised, unfiltered honey to suit your every well-being need. As well as defeating everyday common infections and complaints these recent findings have huge potential in worldwide humanitarian efforts as well, Tobias Olofsson, of the Medical Microbiology Department of Lund University says that the findings could have huge benefits to developing countries that don’t have access to antibiotics and that if results are as effective in human testing, bees worldwide will well and truly be put to work. When two colonies of honey bees descended on Buchanan and St Ambrose High School, the teacher’s first reaction was not one of concern for the pupils but of excitement…. The bees, living in hives supplied by Lanarkshire based bio-diversity champions Plan Bee, are part of the Green Legacy Schools project to teach pupils about the importance of the environment and get involved in the various ways to improve Scotland’s biodiversity. Back in May, Plan Bee arrived with the hives -happily sponsored by construction giants Balfour Beatty who built the school- and along with the pupils and teachers enjoyed a thoroughly rewarding first season at the school. ‘I like smoking the bees.It calms them down so we can have a close look.’ – Alex Oldham. 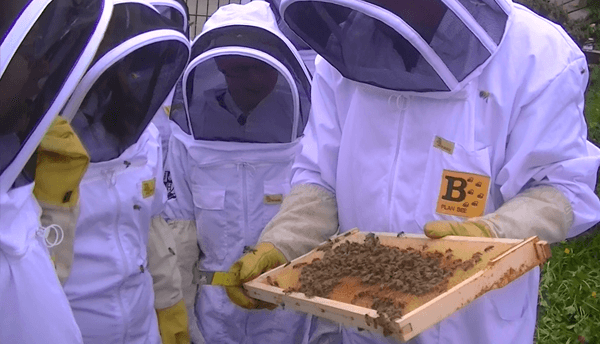 The pupils have been incredibly enthusiastic in learning about the bees and bee keeping and Plan Bee were thoroughly impressed with their lack of fear. 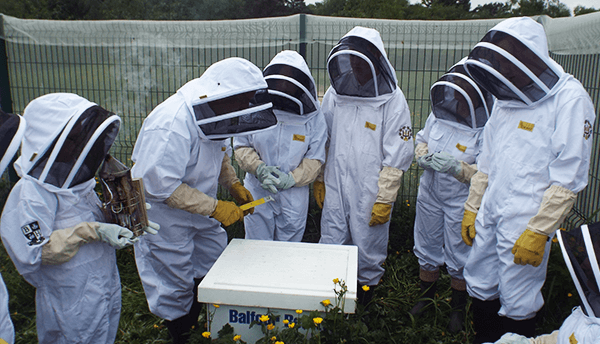 The pupils have been engaging in lessons about the various stages of bee-keeping and will be involved in a competition with other North Lanarkshire Schools to come up with their own bee related song or poem as well as using their entrepreneurial skills in harvesting and marketing their very own honey by early next year. The involved teachers have also been wonderfully supportive, Christine King and Elizabeth Denton happily admitted that they were often-times more keen to get into their bee-keeper outfits than the pupils! This season also saw a new Scottish queen, ‘Queen Christina’ rather fittingly introduced to the hive, giving the pupils the unique chance to see such an event but Elizabeth wasn’t too left out, after all we already have one Queen Elizabeth! 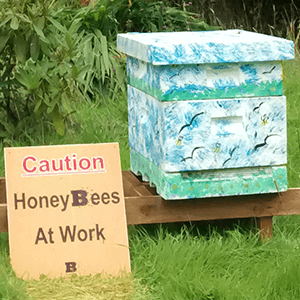 The new additions have certainly created quite the buzz on campus and Buchanan and St Ambrose as well as the other five North Lanarkshire Schools about to embark on the project, are very much looking forward to seeing their hives thrive. Come to Eat Drink Discover Scotland! What are your plans this weekend? The weekly shop? Going to see the in-laws? 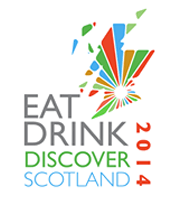 Instead of letting the kids drive you mad, why not come and see Plan Bee at Eat Drink Discover Scotland? 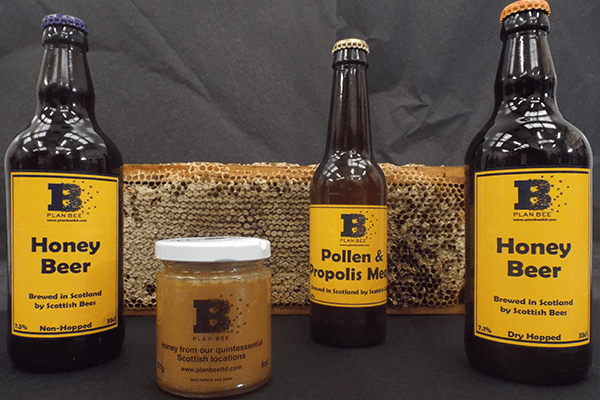 We’ll be at the Royal Highland Centre all weekend selling our brand new honey beer and mead products as well as our delicious honey along with fun badges, balloons and face painting to keep your little, ahem, angels entertained. Billed as the ultimate celebration of Scotland’s food and drink, the three day foodie extravaganza will be packed with live demos from celebrity chefs, cooking classes and a whole host of regional stalls, allowing you to taste all of Scotland, under one roof, in one day. We’re also offering special prices for our loyal customers to say thanks for all your support! The lovely people at Eat Drink Discover have even provided a discount for you all, leaving you with no excuse to sit at home, just enter EXHIB10 online to get your tickets for £10 instead of the usual £15. See you there! Plan Bee is going to Eat Drink Discover Scotland! Hailed as the ultimate celebration of Scottish food and drink, from Friday 12th to Sunday 14th September, we will be one of hundreds of food and drink companies drawn from every region of Scotland – giving you the chance to taste all of Scotland, in one day, under one roof. T aking place at The Royal Highland Centre in Edinburgh, Eat Drink Discover Scotland offers something for every palate, preference and price range, and, in addition to eyeing, trying and buying Scotland’s rich and diverse larder, you’ll see celebrity chefs running master classes and demonstrations throughout the weekend. There will be a variety of fantastic educational activities for children, and a host of skills demo’s and talks by Scottish food experts. Plan Bee will be located in the Eat Lanarkshire section of the event along with seven other wonderful food and drink companies from the Lanarkshire area. 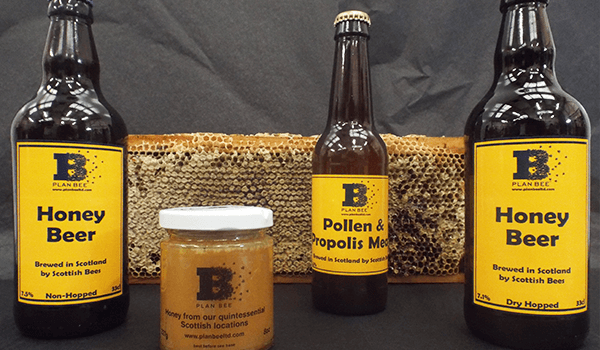 As well as Plan Bee badges, balloons and bee face painting we will also, of course, be selling our delicious honey as well as our brand new honey beer and mead for you to take home! We are offering a special discount code for our friends that will get money of your entry prices and we would be thrilled if you could make it along to see us at this exciting event and cement Scotland’s reputation as a true Land of Food and Drink! For a discount on our products, use secret word “Scoobidoo” at our stand! Here on planbeeltd.com we have often discussed the dangers of pesticides and how they are thought to play a huge part in the colony collapse disorder phenomenon found increasingly in bee hives. However, research conducted by Harvard University has recently suggested that pesticides could have harmful effects on human’s health too. According to the head of the research Dr Lu, as well as resulting in a drop in pollination and most of our diet ceasing to exist, long term exposure to a group of pesticides called neonicotinoids could potentially be an attributing factor in many brain disorders such as autism and ADHD and that’s not all, another research has also determined that pesticides are a huge factor in increasing male infertility rates. With all these apparent side effects it is a wonder that these huge corporations such as Monsanto or Bayer continue to use neonicotinoids at all. 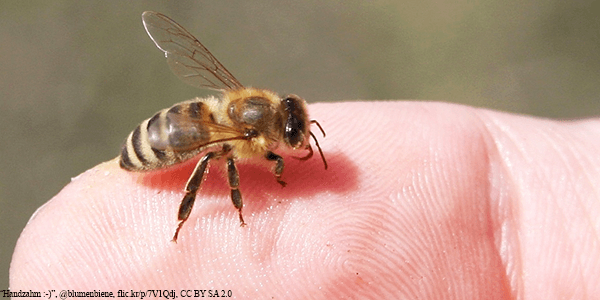 Lu conducted pioneering research on the impact of these neonicotinoid pesticides on honeybees. In a study published in 2012, he replicated colony collapse disorder, feeding bee’s sugar water laced with different levels of neonicotinoids, eventually leading to the collapse of 15 of the 16 hives, even those treated with the lowest dose. 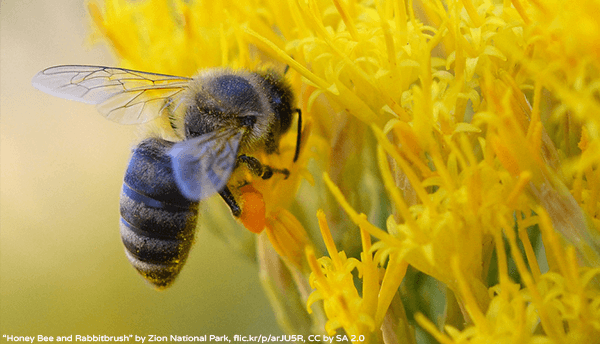 The work has been noted for providing a concrete link to neonicotinoids, which are the world’s most widely used group of insecticides to CCD. 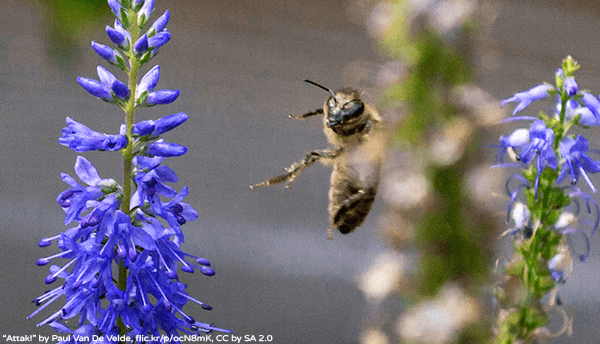 Lu has continued to investigate the possible links among neonicotinoids and both bee and human health, announcing the honeybee as a good model organism for the impact of pesticide use. Green People are Green Champions! Green People, the most famous UK organic beauty brand, is a company that values and supports the planet as well as local communities. As a company who’s principles mean that product performance is never sacrificed for profit, it is important that their green credentials match up to their ethical practices. For a number of years, the company and its staff have supported Chestnut Tree House Children’s Hospice through different donation campaigns. Chestnut Tree House is the only children’s hospice in East and West Sussex and cares for over 280 children and young adults with progressive life-limiting conditions in Sussex and South East Hampshire. In September 2013, the Green People team donated clothes, books, games and toys to the association ‘Bag it and Give’ initiative in order to raise money for the hospice. This time, Green People wanted to create a project which would involve the children, providing them with a sense of achievement and act a source of distraction from their everyday problems, while also improving their own green credentials. 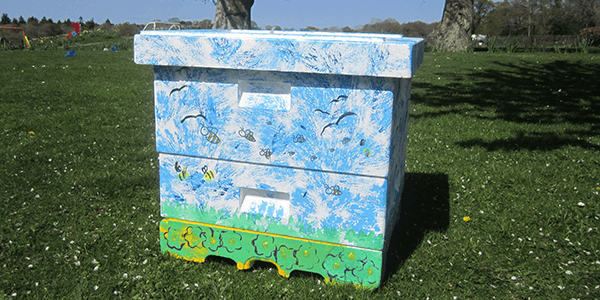 Since getting in touch with Plan Bee, the hospice has been provided with an empty beehive for the children to decorate using their imagination. The hive is now returned to Plan Bee and sited at one of their many locations within Scotland and fully managed by the company’s expert beekeepers.